There’s just so much to love about Dublin, Ireland! 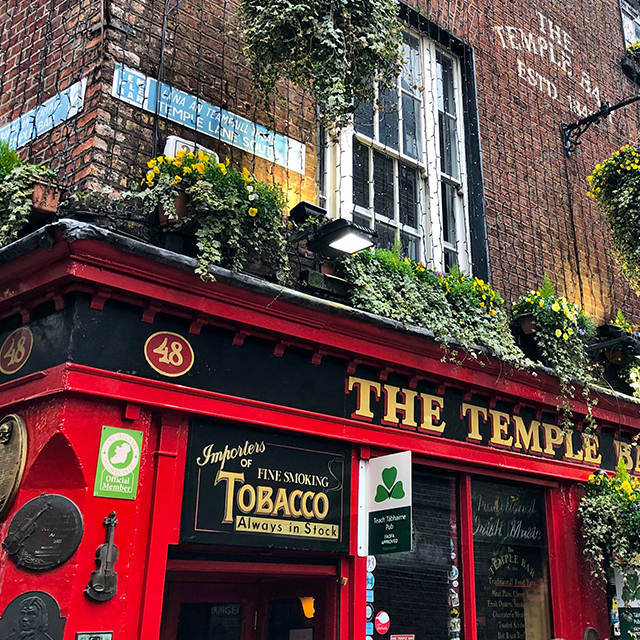 Customer Service staffer Emma recently visited the Irish capital on our Highlights of England, Scotland & Ireland tour and here, she shares her top five things to do during downtime in Dublin. 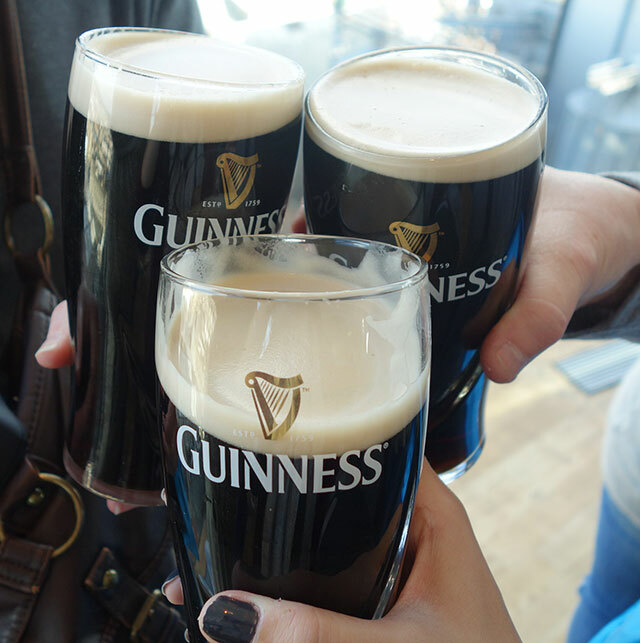 Even if milk stout isn’t your go-to drink, trying one in Dublin is practically mandatory. Part brewery, part beer museum, the Guinness Storehouse offers a self-guided tour for people interested in getting the full scoop. If you’re more inclined to just enjoy a quick drink and a view, the Gravity Bar offers an amazing panorama of the city. Trinity College is one of the most prestigious universities in Europe and walking around the picturesque collegiate grounds is an enjoyable experience in and of itself. 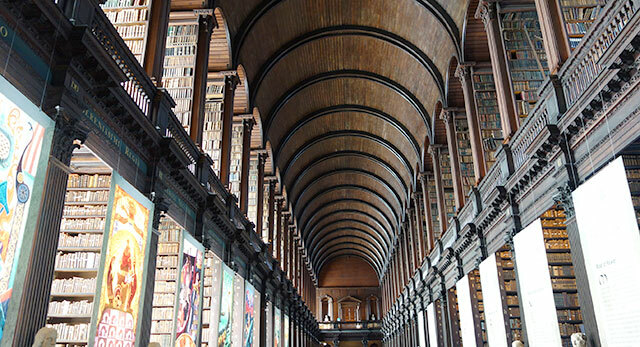 The world-famous Book of Kells is housed in the Trinity Library and is one of the most prized pieces of medieval art in the world. It outlines four gospels in ornate details and dates back to around the year 800. The historic shopping center at George’s Street Arcade dates back to Victorian times. While the ownership has changed over the years, it has remained an indoor market with a wide variety of goods and today, you can find anything from eclectic boutiques and souvenir shops to tasty eateries. Beyond its obvious charm, Ha’penny Bridge has a great backstory. The bridge was the first pedestrian bridge to cross the River Liffey and was nicknamed for the half-penny toll that the bridge owner used to charge pedestrians. A casual stroll here offers picturesque views of Dublin’s waterfront and leads you directly to the Temple Bar neighborhood on the south side of the river. The Temple Bar area and its namesake red pub are the heart of Dublin’s nightlife. Located on the south bank of the River Liffey, the neighborhood offers visitors a maze of centuries-old cobblestone streets dotted with lively pubs. It’s the perfect spot to wander around to meet locals, enjoy a pint of local beer, and listen to live Celtic music. Have you been to Ireland? What would you recommend to do in your free time?